Have questions about Mercedes-Benz? Want to learn more about financing or engine options? You’ve found the right page – whether you want to connect with the sales specialist you were working with when you stopped by Mercedes-Benz of New Rochelle or you need to contact our service department regarding your vehicle, you’ll find the person you’re looking for below. Don’t hesitate to give us a call or send us an email with any questions or concerns. 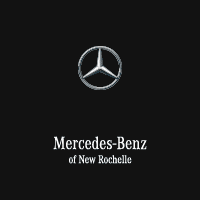 Thank you for shopping with Mercedes-Benz of New Rochelle!